According to The Pulse Of Radio, THREE DAYS GRACE made chart history this week, earning the band's 13th No. 1 single on the Billboard Mainstream Rock Songs chart with "The Mountain". That tied the record held for the past two decades by rock legends VAN HALEN. "The Mountain" is the new single from "Outsider", the sixth studio effort from THREE DAYS GRACE, which arrived earlier this month. THREE DAYS GRACE already holds the record for most No. 1 singles at Active Rock radio, also with 13. "The Mountain" is currently No. 2 at the format and could add to that tally. The quartet's last chart-toppers on the airwaves were "I Am Machine" and "Painkiller" from the 2015 album "Human". Drummer Neil Sanderson said a while back why he thinks the band continues to connect with listeners. "One thing that hasn't changed with us is that we write about real things in our lives and the lives of people around us, and observations of just sort of life itself, you know," he explained. "And I think THREE DAYS GRACE fans have attached themselves to that and I think that sometimes, you know, that's a powerful thing if you can put into words what other people are thinking." THREE DAYS GRACE's other No. 1 singles include "Misery Loves My Company", "Chalk Outline", "World So Cold", "Never Too Late", "Just Like You", "Animal", "Pain" and "Home". The Canadian act also consistently averages 3.9 million monthly listeners on Spotify, remaining one of the most listened-to rock bands in the world. 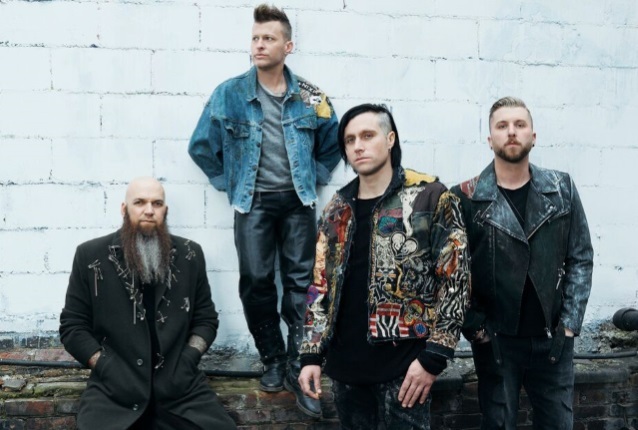 THREE DAYS GRACE will play a handful of radio festivals in April before heading to Columbus, Ohio for a May 18 appearance at the Rock On The Range festival. The band will tour North America this summer with AVENGED SEVENFOLD and PROPHETS OF RAGE, kicking off on July 22 in Mansfield, Massachusetts.